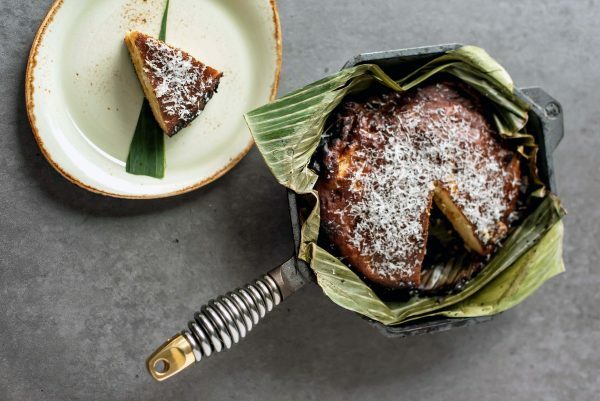 Bibingka, Filipino Coconut-Rice Cake | FINEX Cast Iron Cookware Co.
We recently partnered with Chef Carlo Lamagna, of the soon-to-open Magna restaurant in Portland, Ore. to bring you this scrumptious Filipino coconut-rice cake. Cooked and served in our 10″ Skillet, it brings some of the best Filipino flavors to your table. Bibingka, is a popular breakfast or merienda (snack) food. 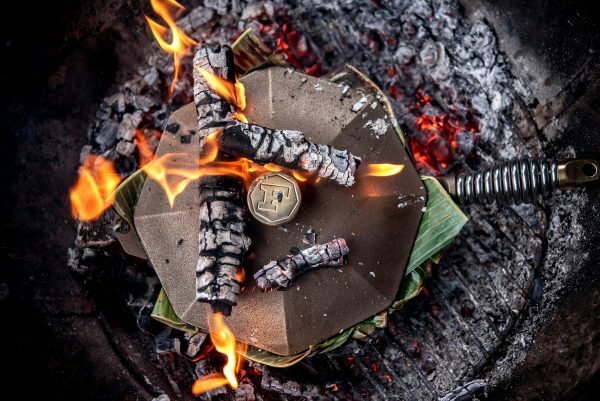 Traditionally, it’s placed on a banana leaf-lined terra cotta pot and baked in a clay oven with pre-heated coals. 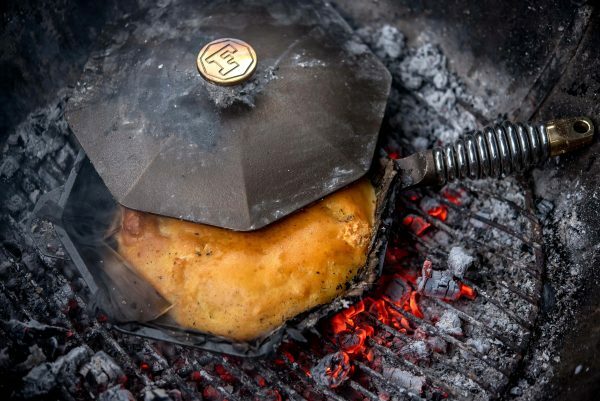 In this instance, Chef Carlo, replaced the terra cotta pot with a 10″ FINEX cast iron Skillet and baked it over a wood fire. Cut banana leaf into squares and line 10” Skillet with alternating sheets. 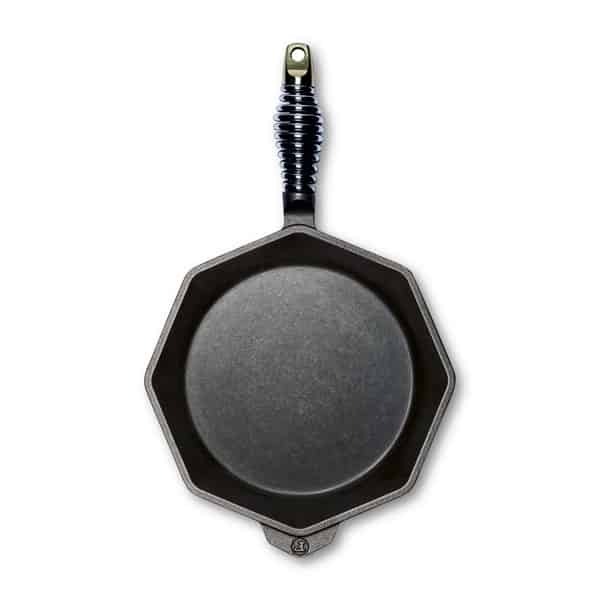 Trim any excess that rises above the lip of the pan. Combine all dry ingredients (rice flour, sugar, baking powder, salt) in one bowl and all liquid ingredients (milk, coconut milk, eggs, butter) in another. Mix all liquid ingredients with dry ingredients until fully incorporated. Allow to sit for 20 minutes to fully hydrate the flour. Pour batter into banana leaf lined skillet and bake for about 30 minutes. To test, insert a cake tester or toothpick, if clean, cake is finished. Once out of the oven, let cool and grate Edam cheese or Parmesan cheese on top. If using salted egg, chop and add before baking. If using cured egg yolk, simply grate over top with the cheese.